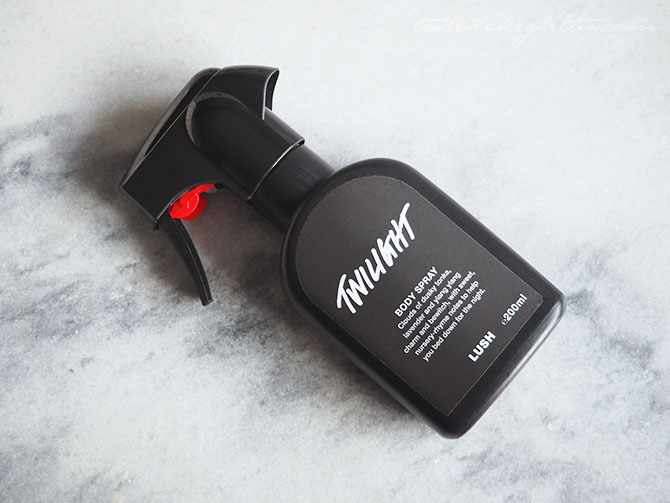 For numerous years now the Twilight fragrance from Lush has been one of my favourites. Lavender scents help relax me but they also give me a massive headache so I ideally need them mixed in with other things. That's where Twilight comes in! 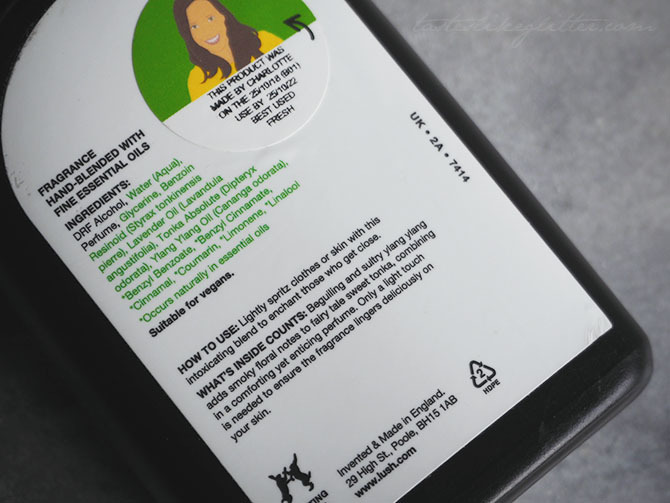 The spray mimics the shower gel with the same name almost perfectly but is identical to the Sleepy body lotion. An intoxicating mix of lavender, ylang-ylang and tonka which are sure to calm even the most restless sleepers. This isn't something I'd suggest using in the day unless of course, your aim is to fall asleep at your desk. If that's the kind of thing that floats your boat, go for it. Otherwise, my best advice is to use it in the evening. I'm one of those that prefer to shower at night so I'll use Twilight in my shower, Sleepy to moisturise my skin and a little spritz of this on my jammies and my bedding to help me wind down for the night. It really does soothe and relax which is a hard feat since I spend most of my days stressed up to my eyeballs about the most ridiculous things. Hi anxiety, how are ya? As with all Lush sprays, this really does have staying power. They're not at all like body sprays I've bought in the past where the smell seems to vanish in an hour. This is a really worthwhile purchase and one that is a staple of an evening for me personally.